Creativity thrives in every corner of Montréal, and you can feel it virtually everywhere. From music to physical artwork, the creative energy is present in countless cafés, restaurants, and of course, on the streets in painted murals. They are works of art that flourish in the beautiful parks and public spaces, and are expressed via world class arts and culture institutions. 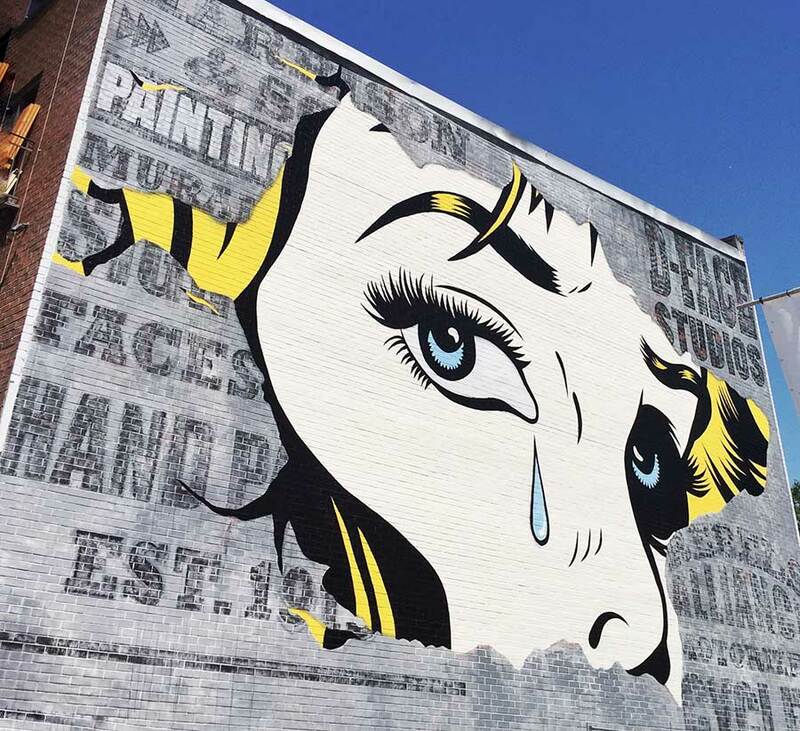 We are fortunate to live in a city that is rich in culture and creativity, and the good folks of the Mural Festival know that more than anyone. Oh, and over the last four years, the world has taken notice. What started out as a 2 day street art festival and block party, has amounted to such a large-scale event that global artists are taking note and joining the fest. From Miami to parts of South America and Europe, Mural has become one of the fastest growing festivals in Montreal, drawing in street artists from various parts of the globe. If you missed the festival, this video by ABCDF captured an overview, filled with visually striking imagery, emotion and the incredible energy that this city is known for. Here are 8 of the newest murals in and around The Main that you need to check out, ranked in no particular order. Of course, there are plenty more to be seen but you don’t have to take our word for it. So, whatifartruledtheworld? Stikki Peaches asks all the right questions. The Seven Deadly Sins is a sweet work of art, don’t you agree? Bik Ismo, also known as the ‘Chrome Master’ left Roy street with this stunningly gorgeous artwork. Surprise intervention by Mark Jenkins (@glazedparadise) – A life size sculpture of @houseofmeggs at @muralfestival’s HQ in @montreal. Photo by @halopigg. This life-sized sculpture of House of Meggs is subtle in comparison to the bright, expansive murals and installations at on St. Laurent street. Just another friendly reminder to look up more often! Grems gives us another reason to look up when walking down The Main. It should be noted that Grems also painted the VIP lounge area during the festival. Of course there are way more than 10 murals and installations to be discovered and admired. If you are searching for visual stimulation, we encourage you to get out there and take a walk around The Main. Be sure to follow and tag @muralfestival and of course, @DCMTLBlog to be featured!